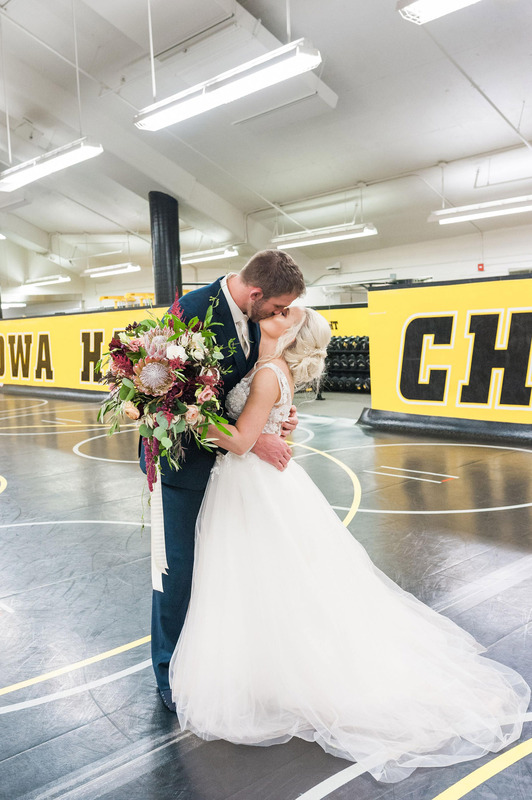 Bobby grew up in Delaware and moved 1000 miles away from home to attend the University of Iowa, where he wrestled for the Hawkeyes. 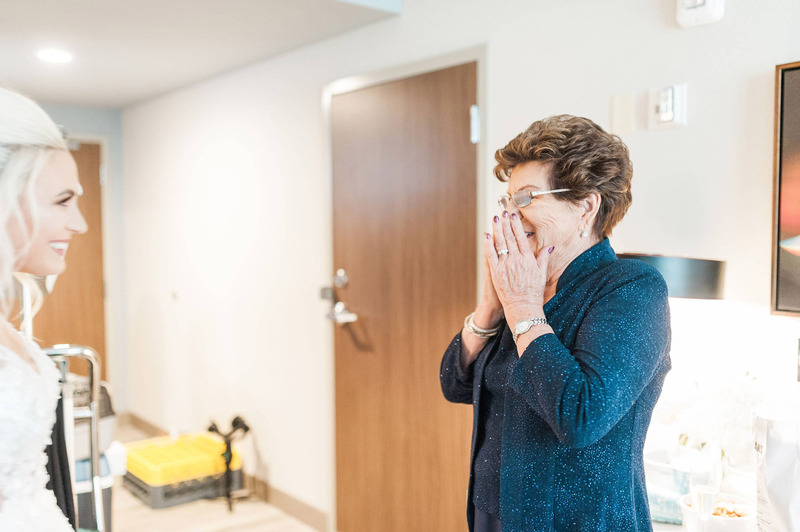 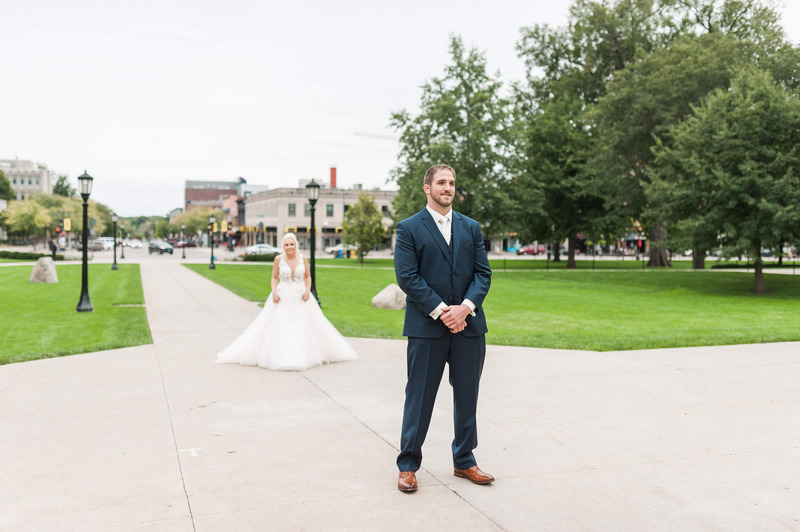 Alex was born and raised in Iowa City, and the two instantly clicked. 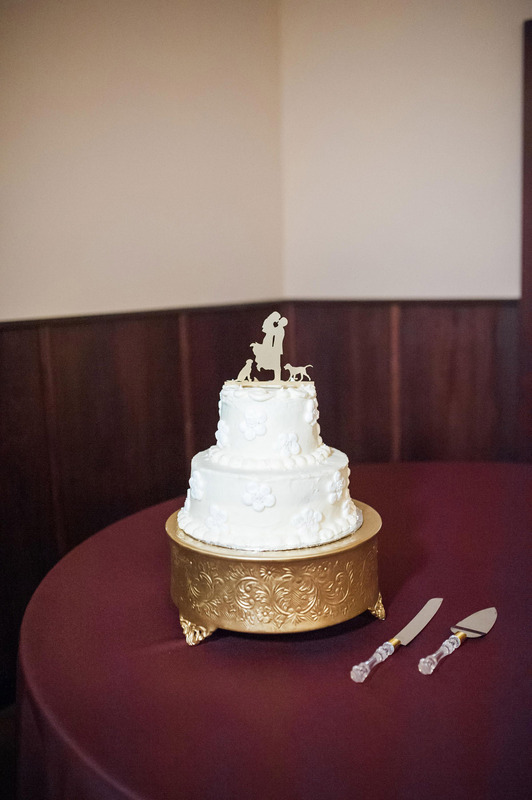 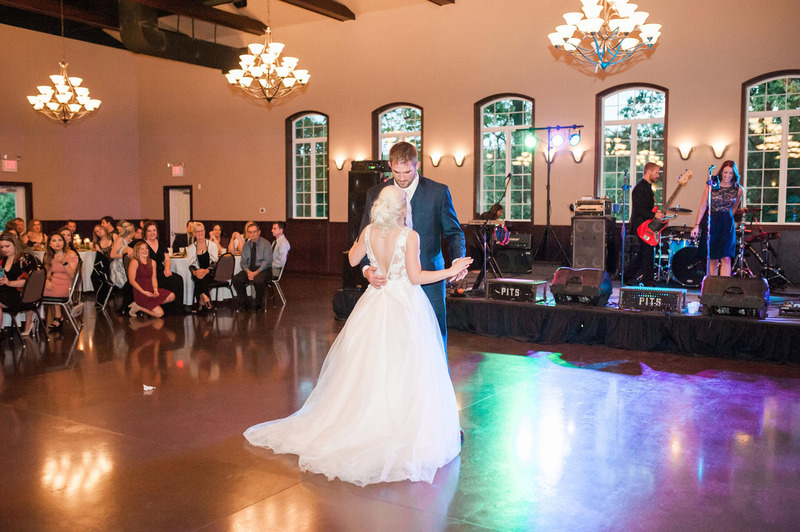 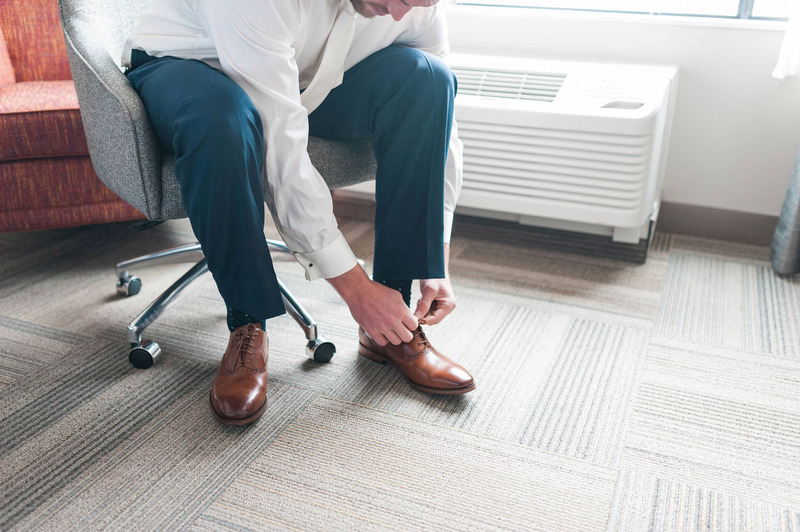 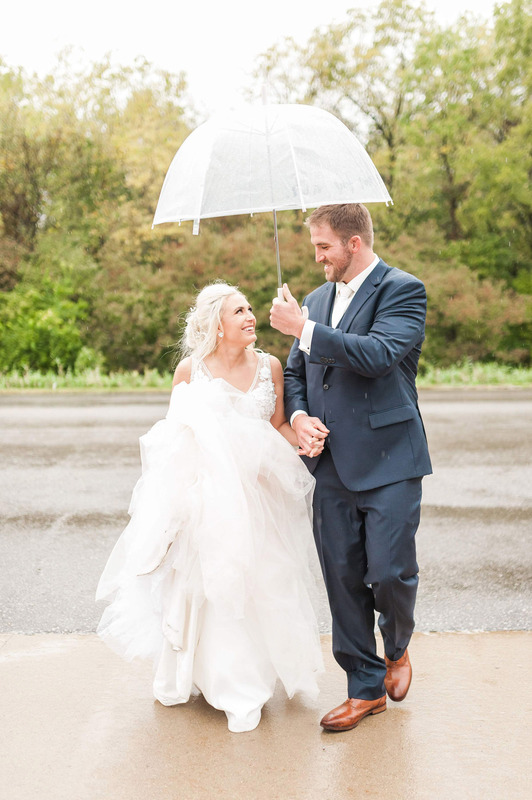 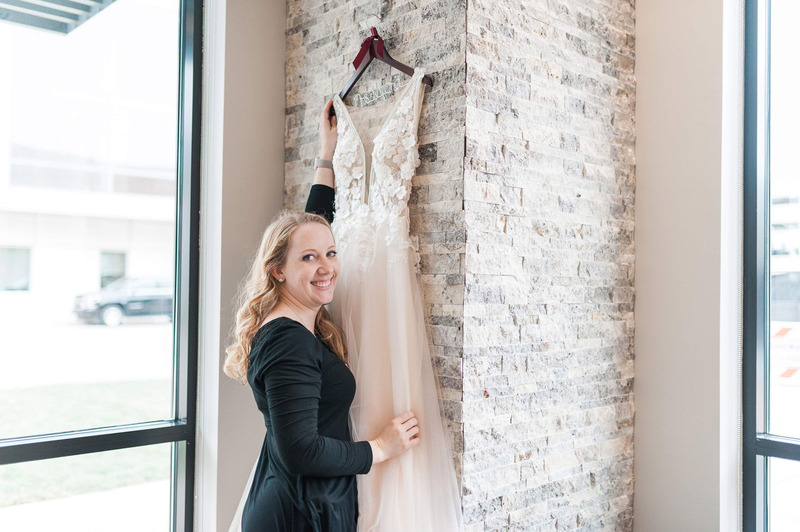 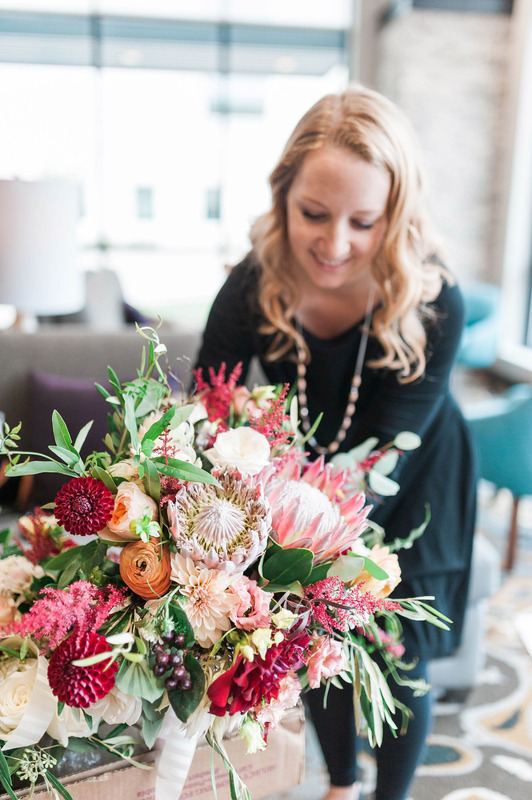 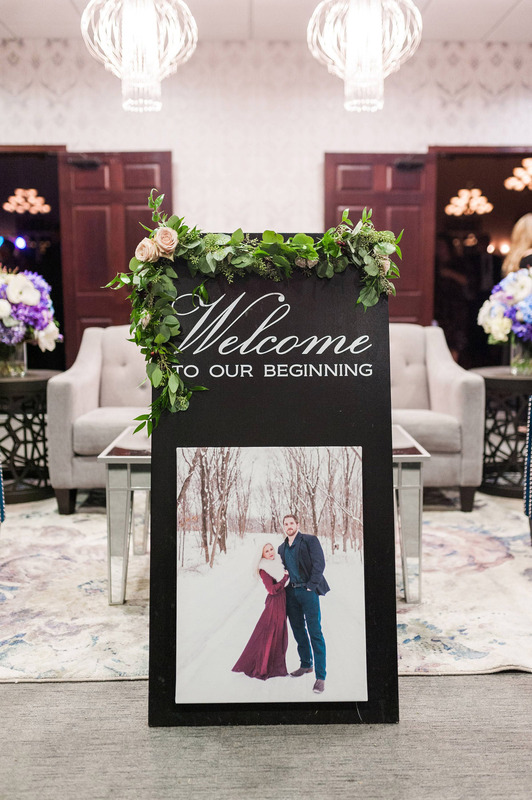 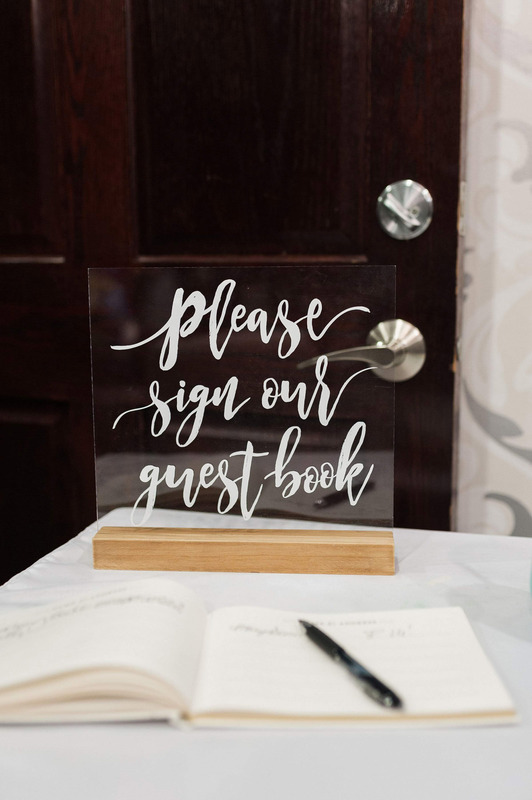 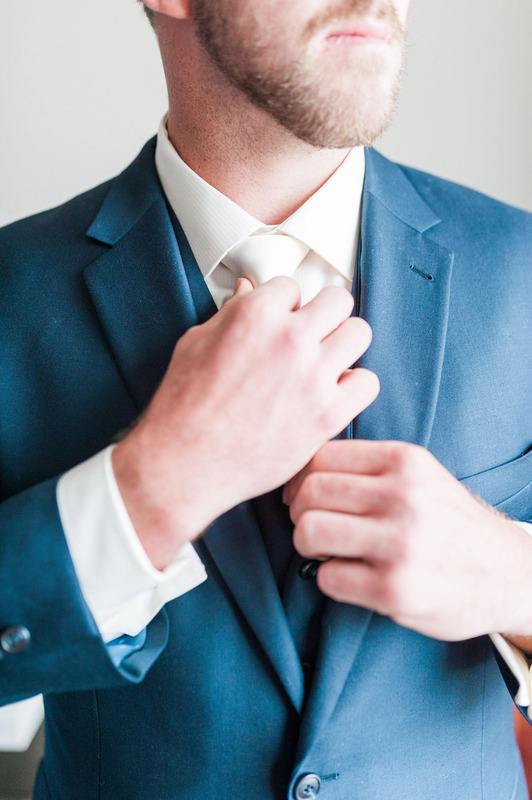 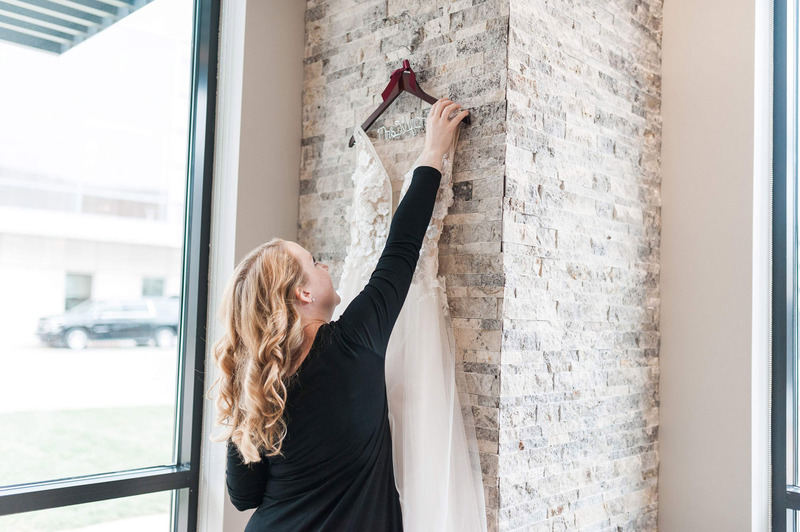 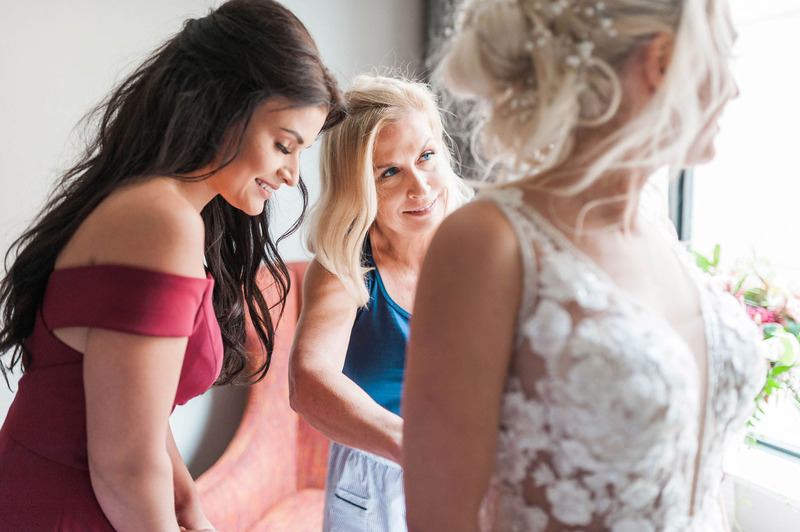 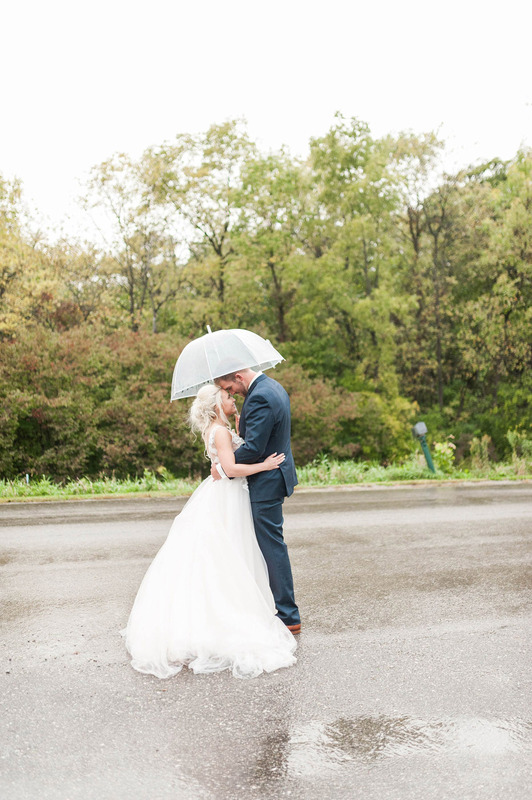 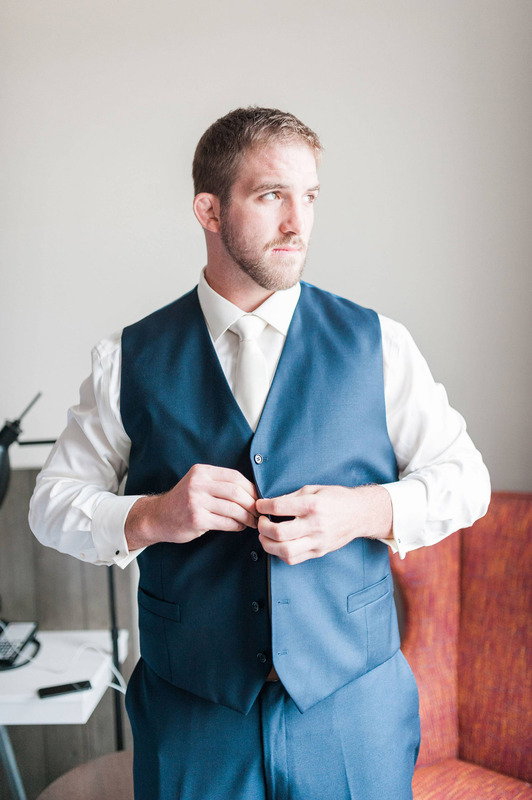 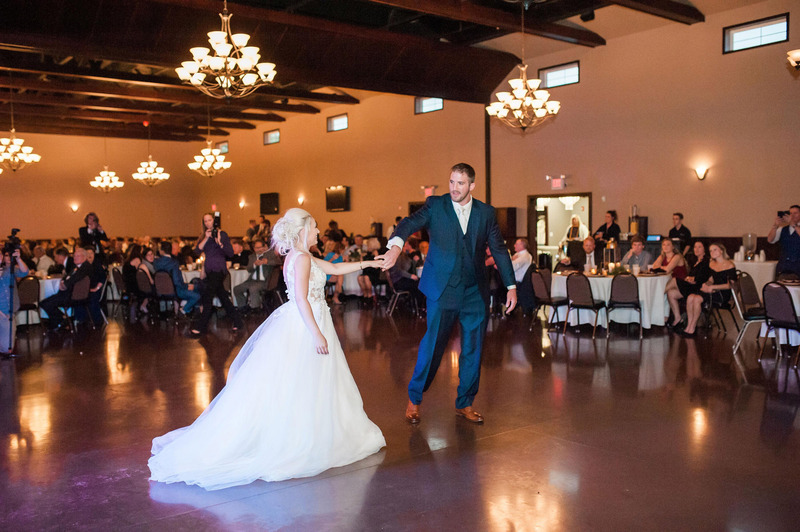 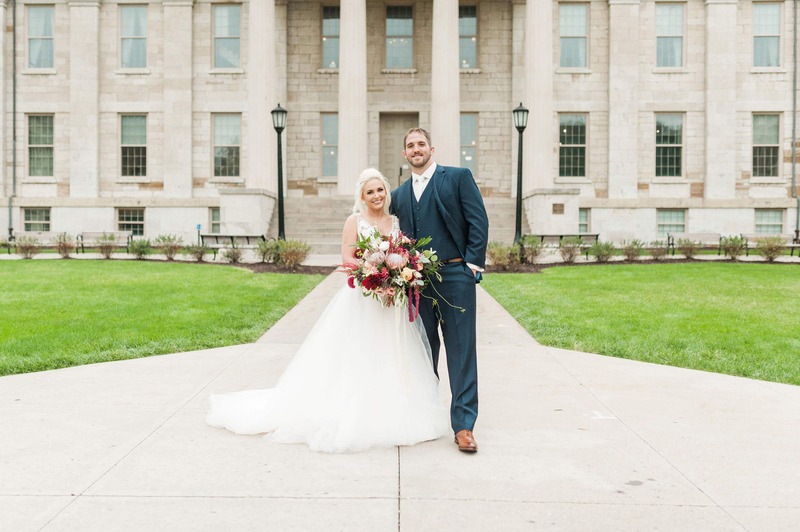 Because Alex was in grad school when the two were planning their wedding, she knew it was important for her to hire a wedding planner to minimize the stress of planning and coordinating. 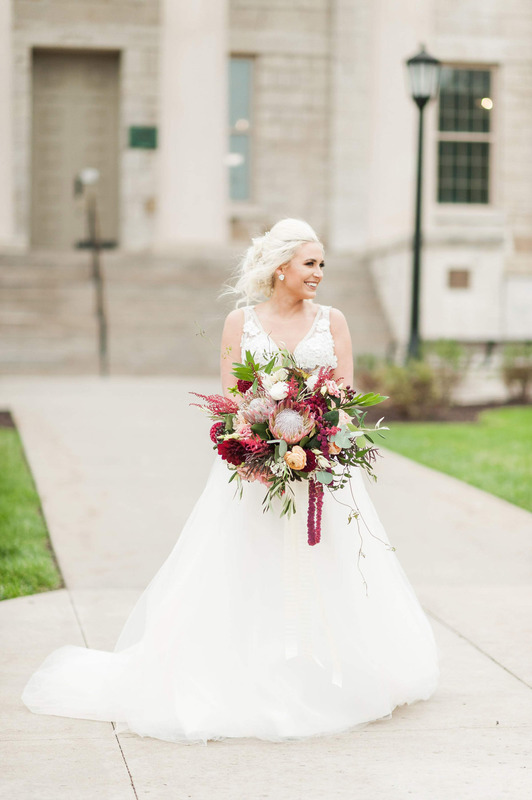 Therefore, she chose to take advantage of The Essentials Package, which includes weekend-of coordination for their wedding. 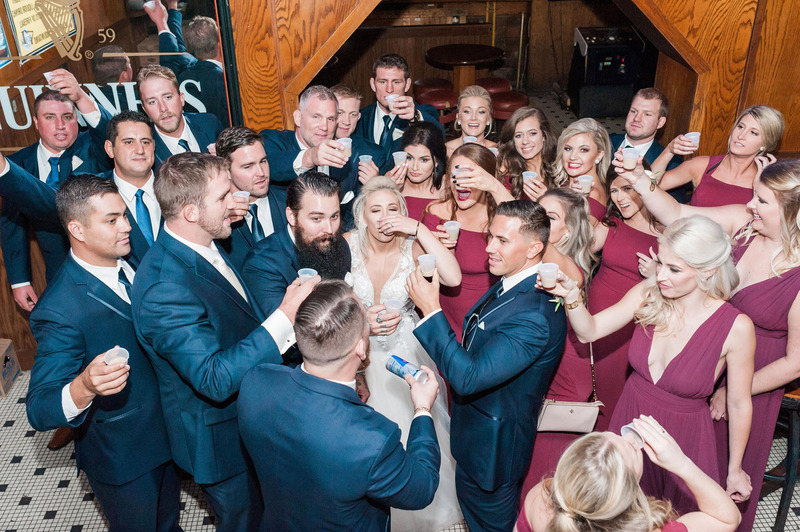 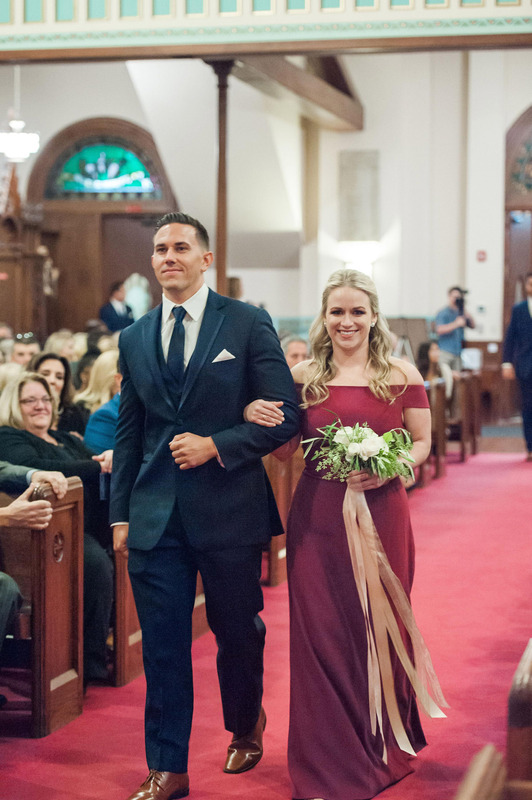 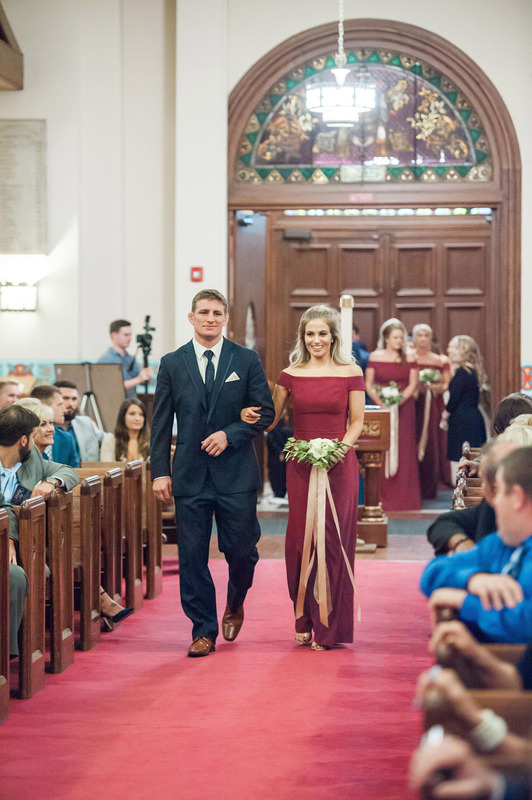 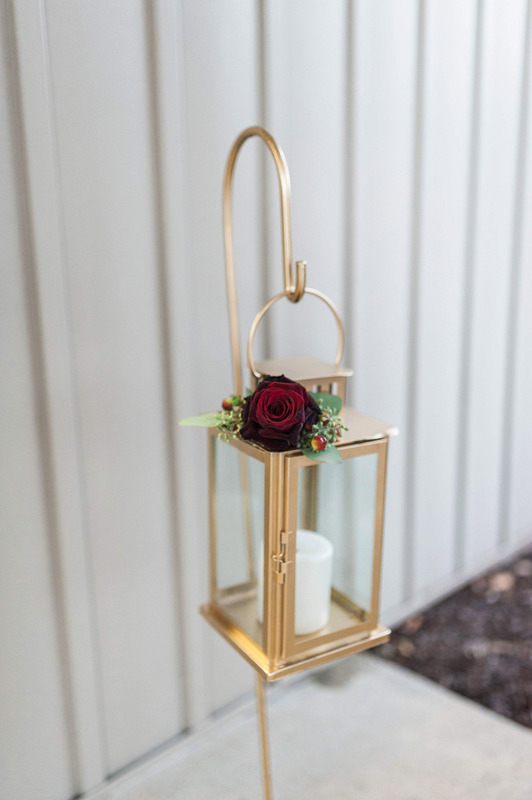 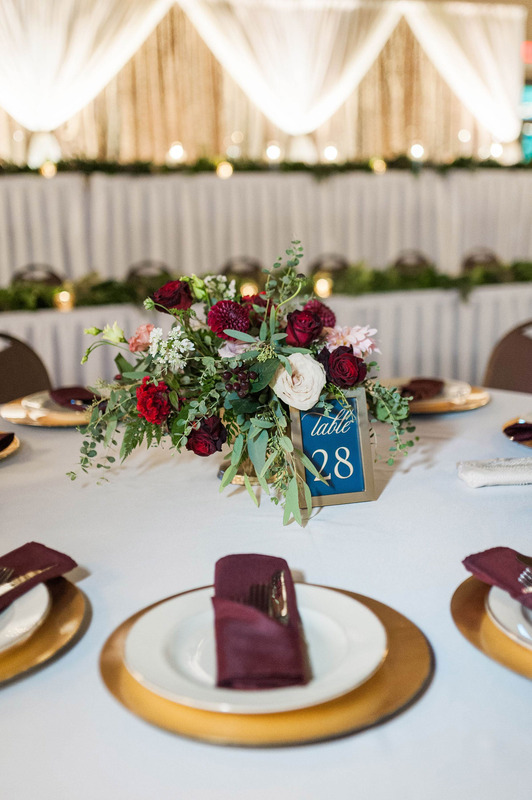 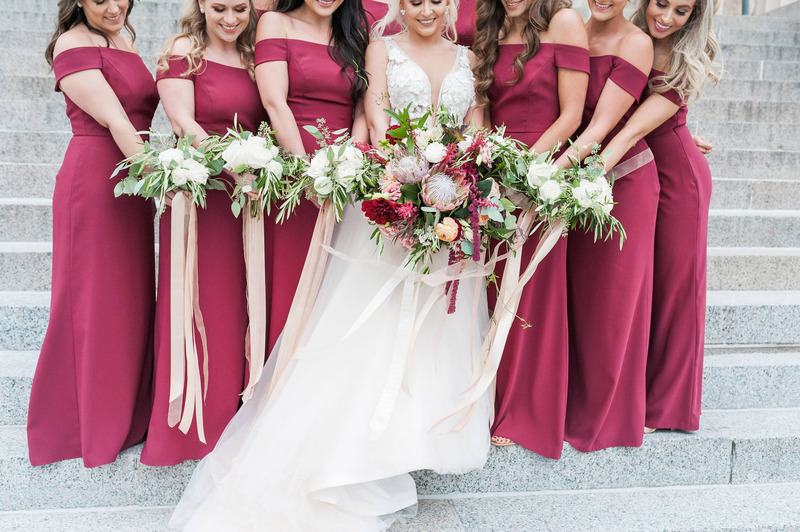 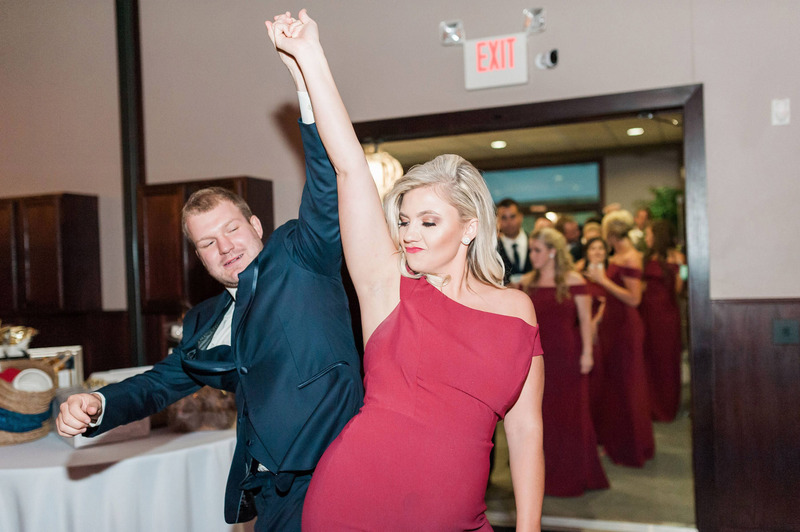 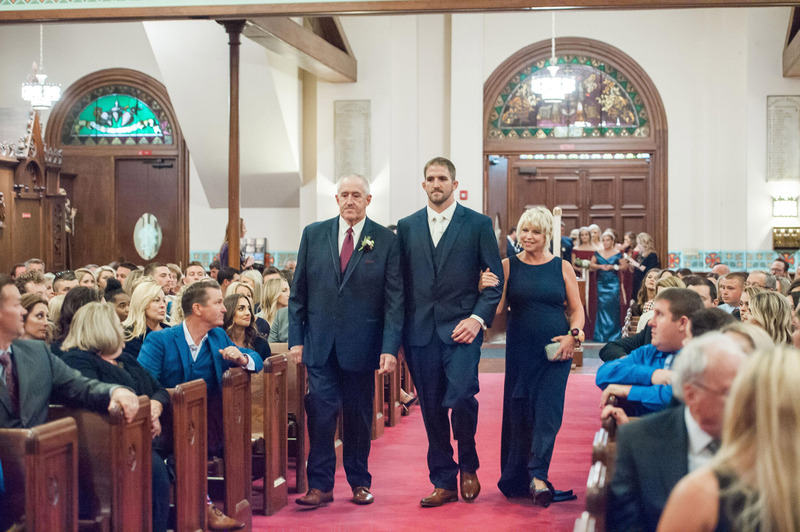 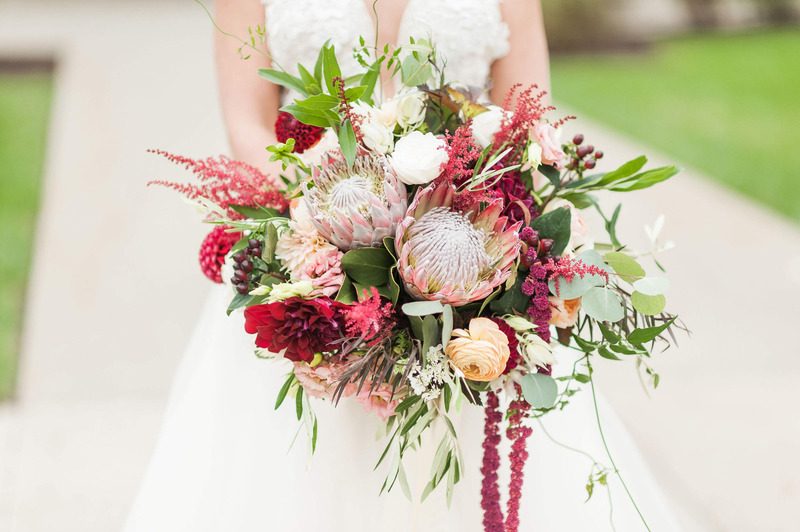 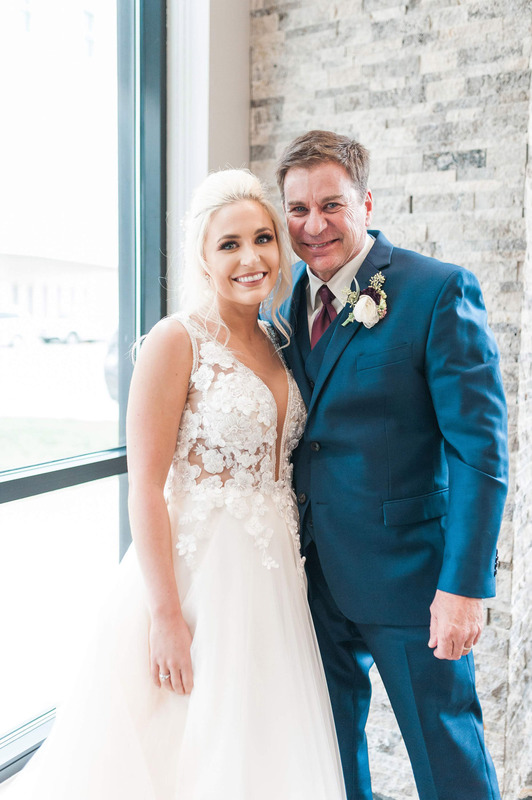 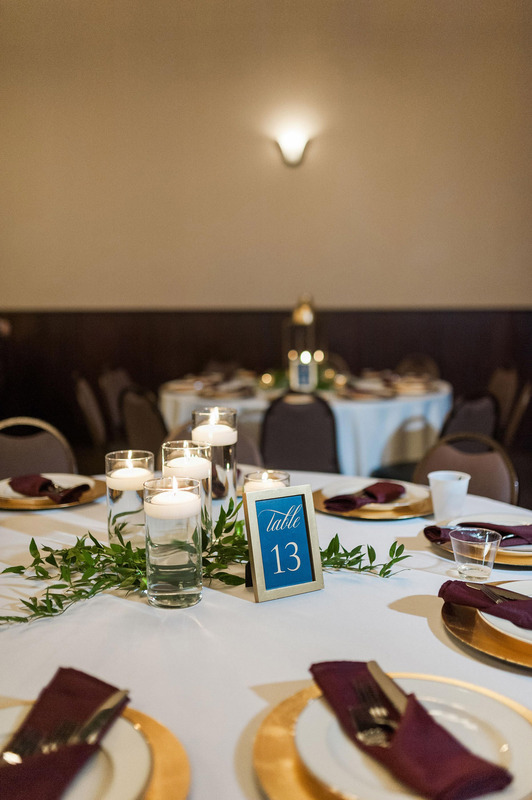 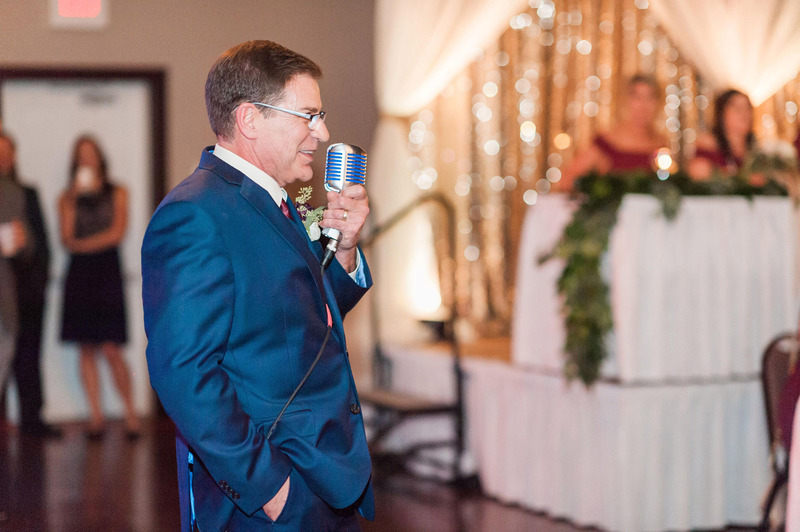 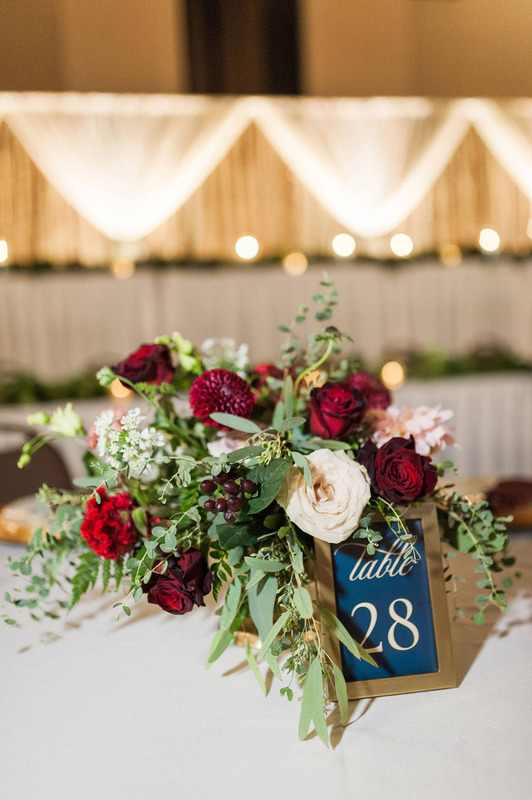 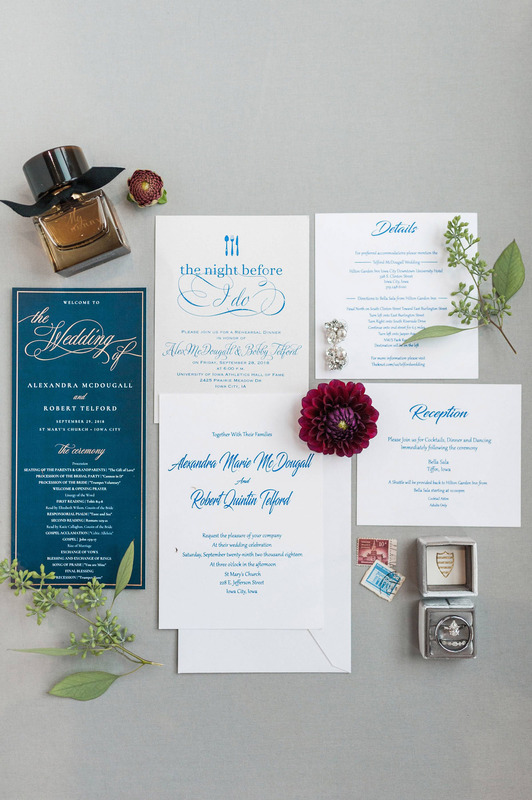 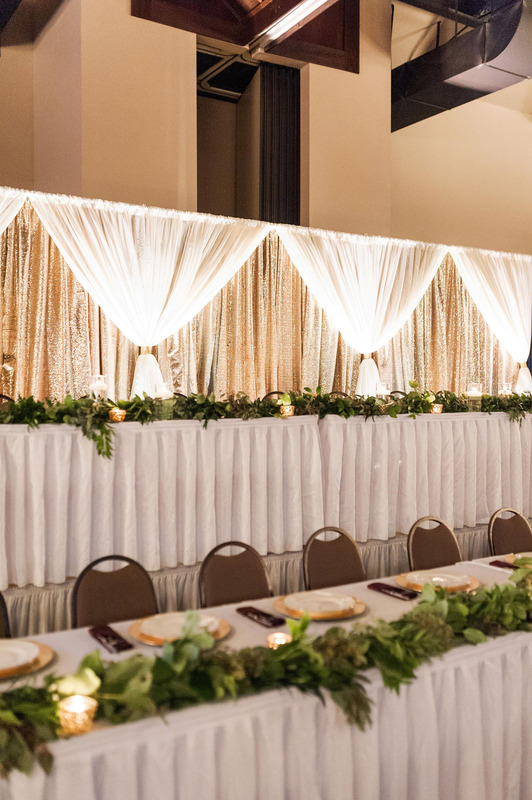 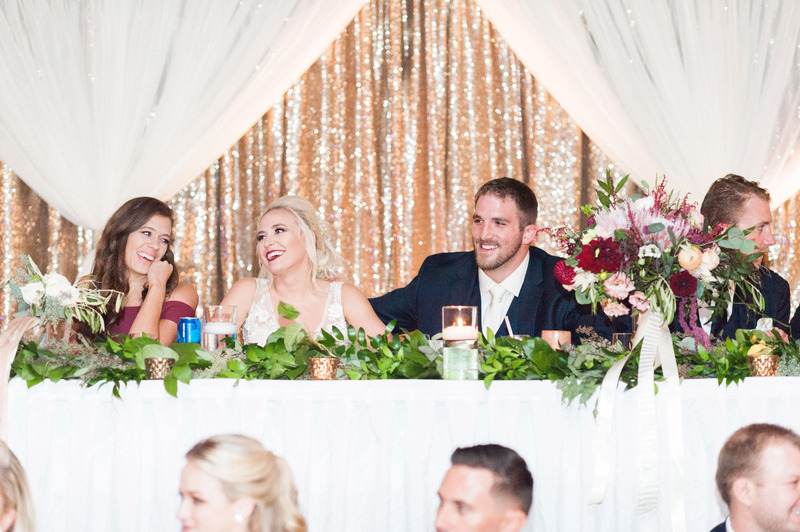 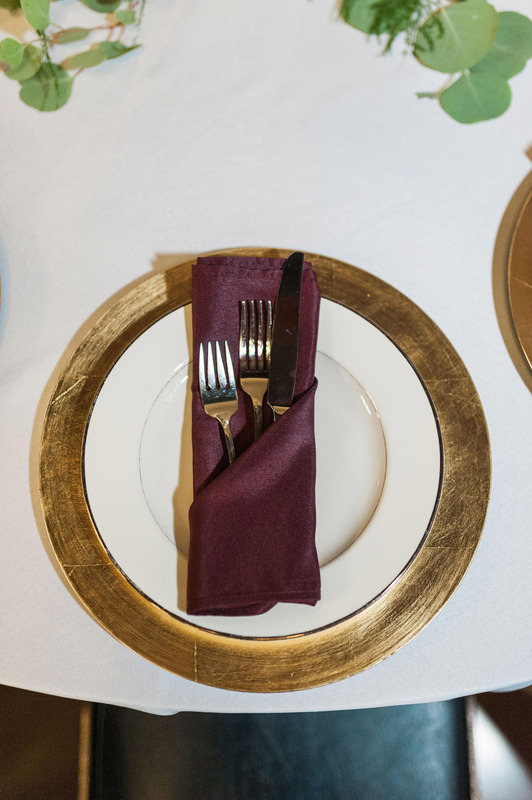 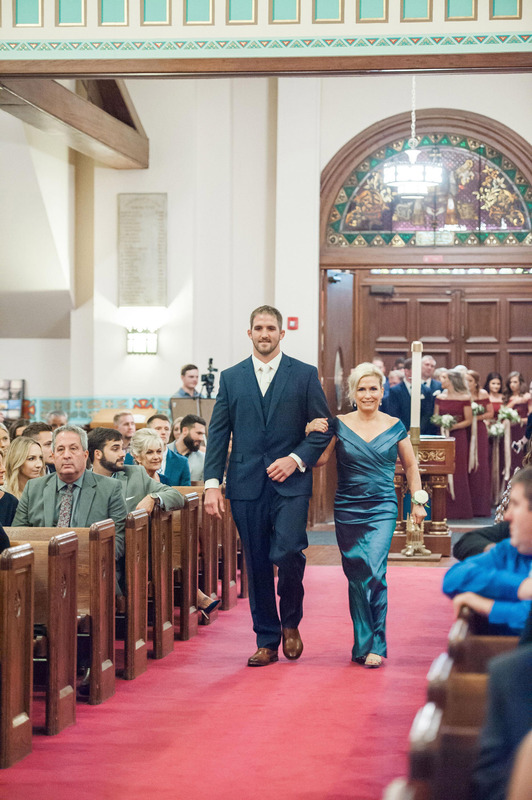 The couple knew they wanted the wedding to be super formal, envisioning burgundy and navy details adorning their gorgeous venue at Bella Sala. 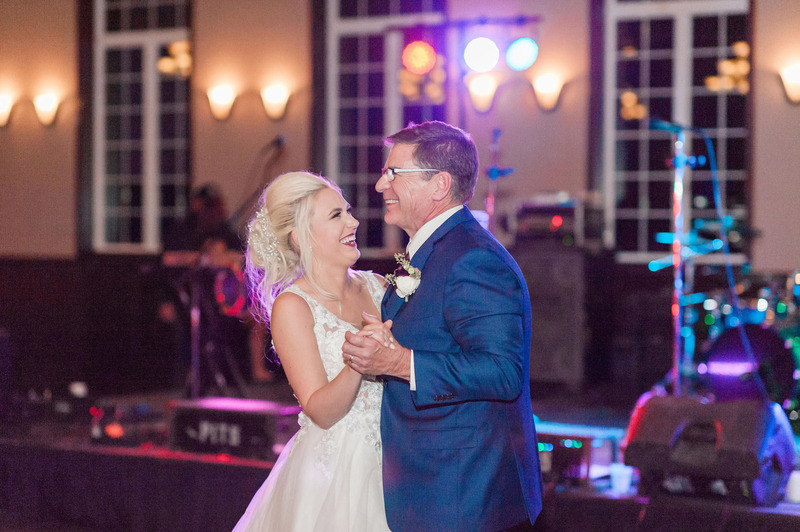 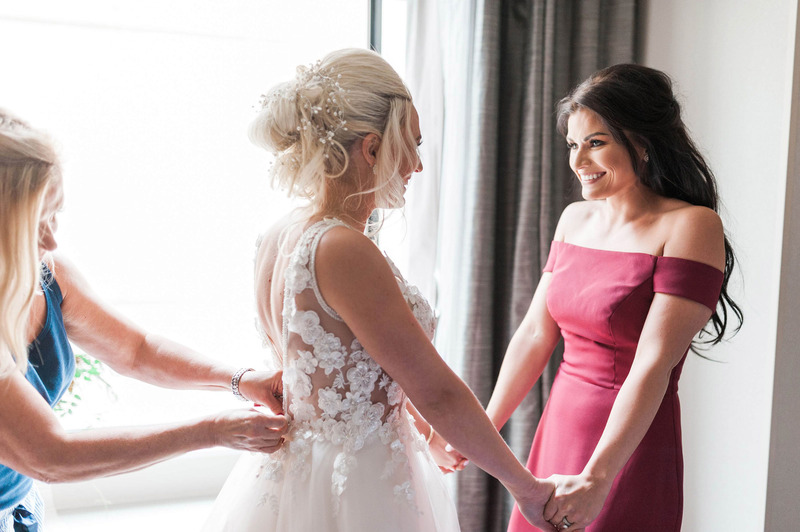 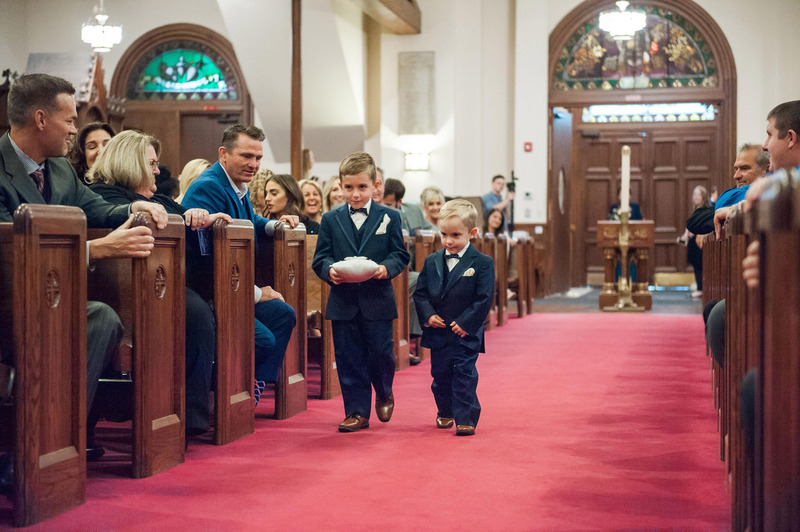 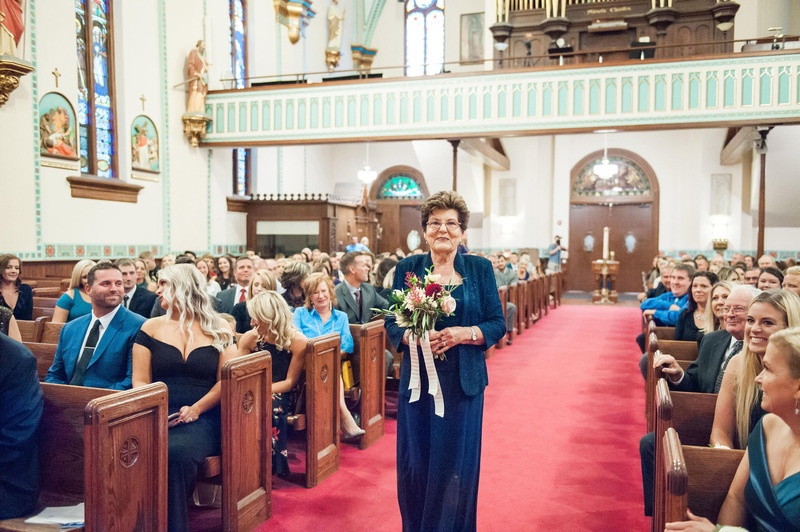 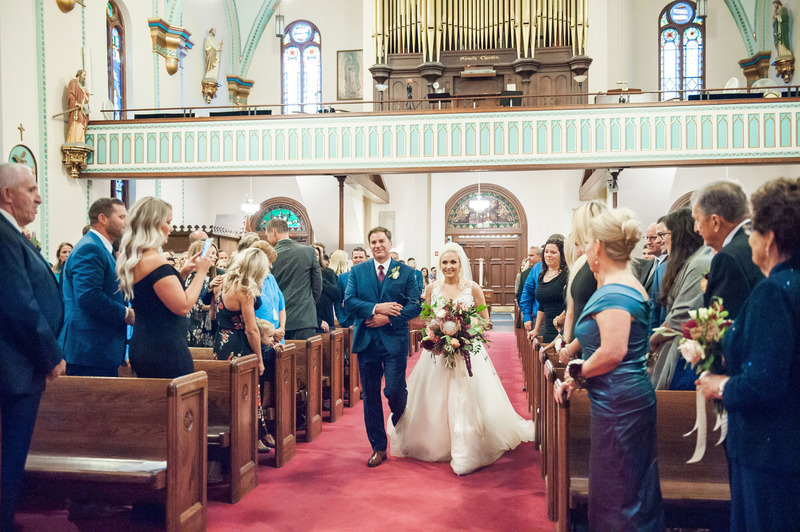 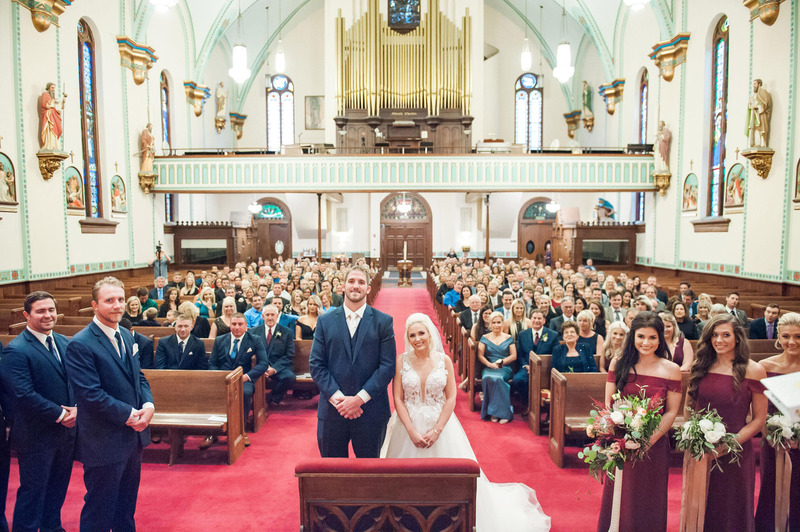 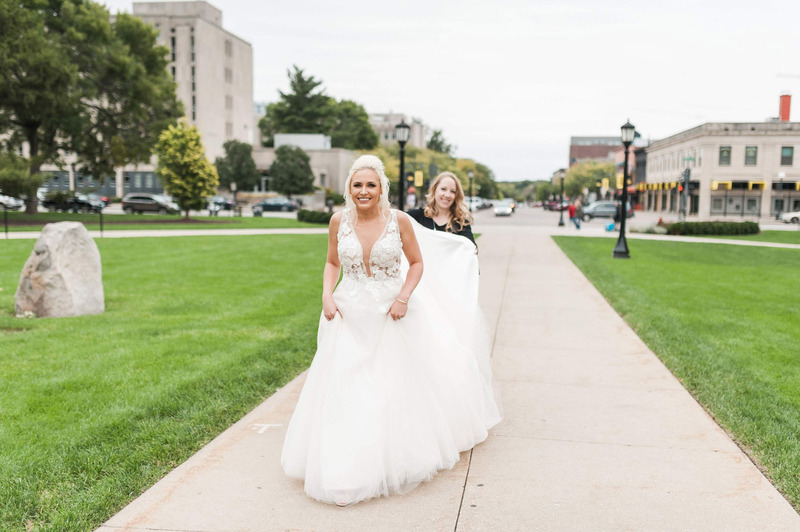 With around 400 guests coming from around the country, they wanted their wedding day to be unforgettable. 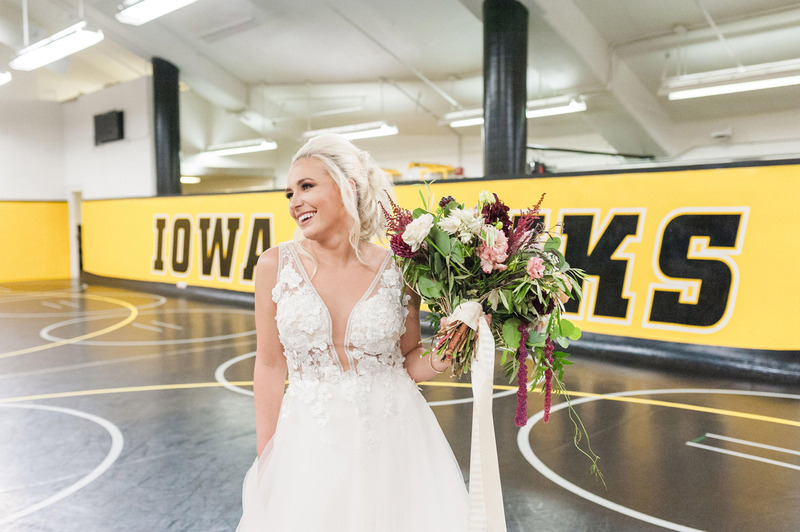 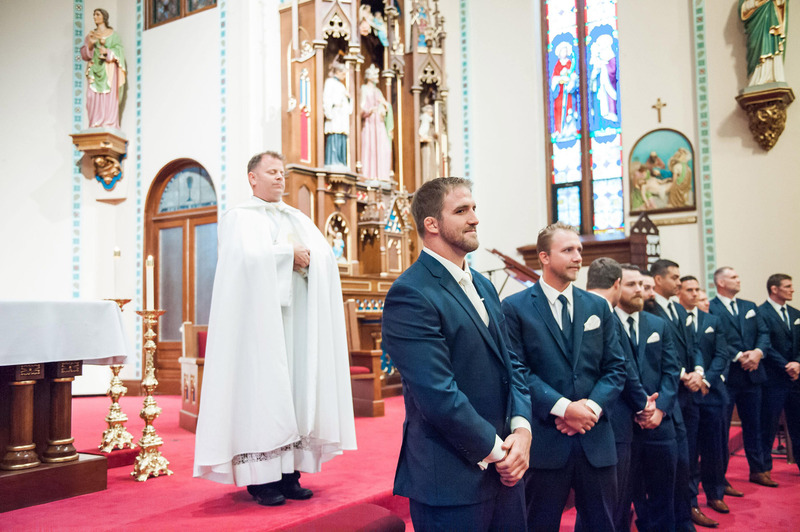 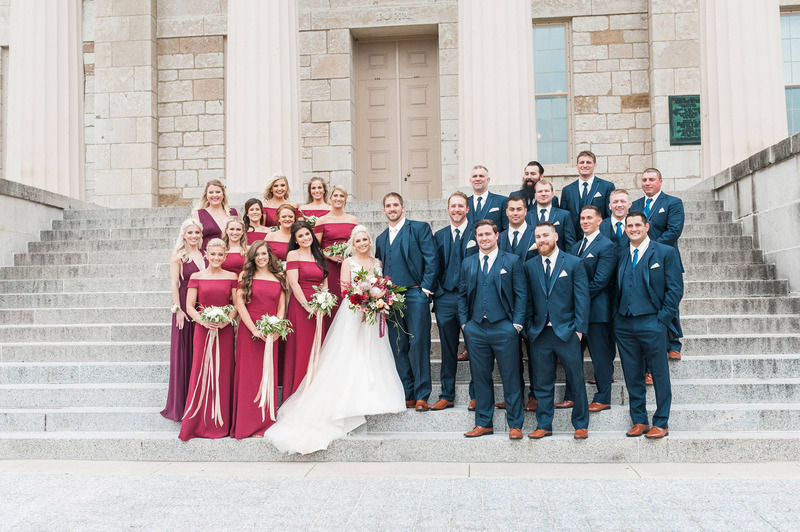 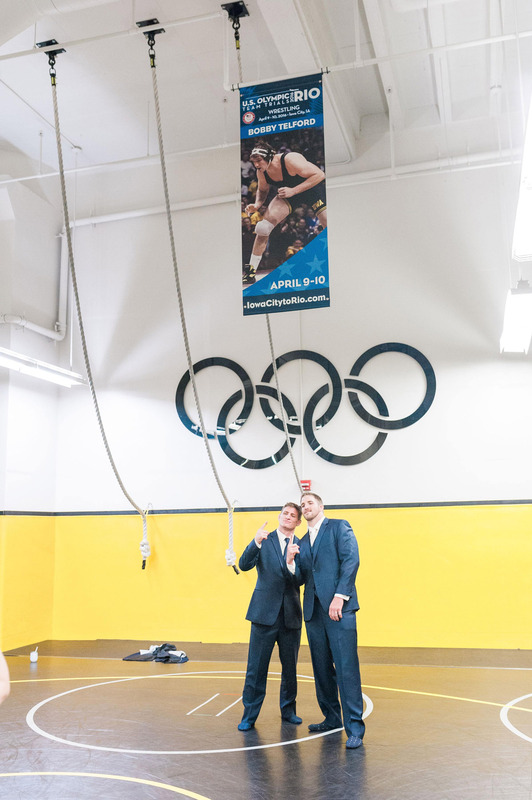 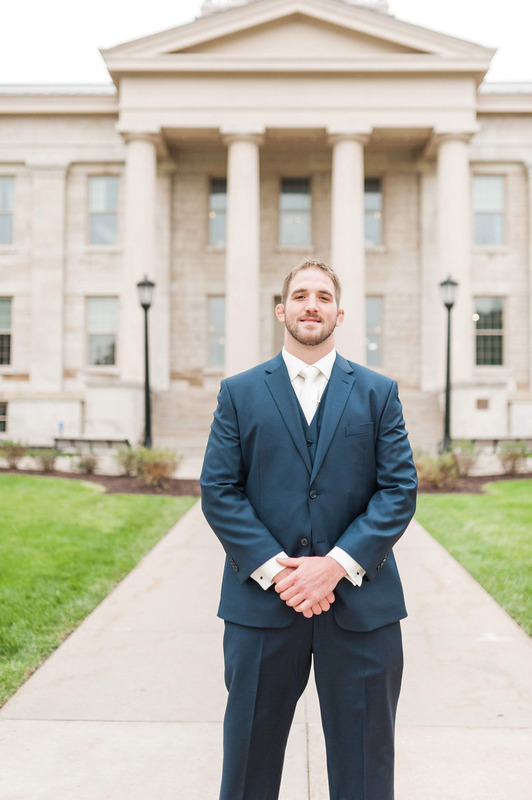 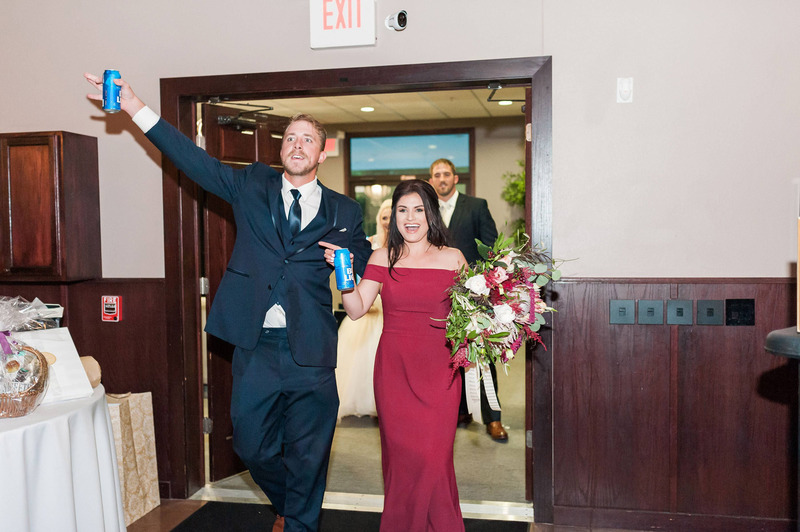 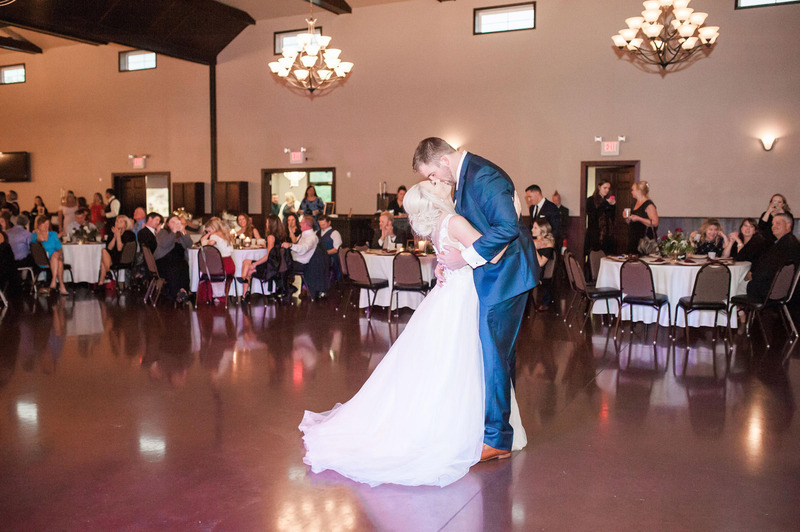 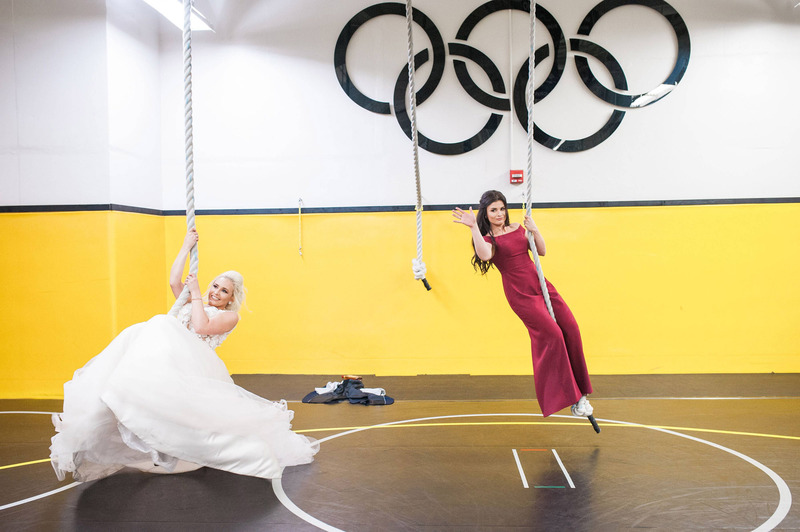 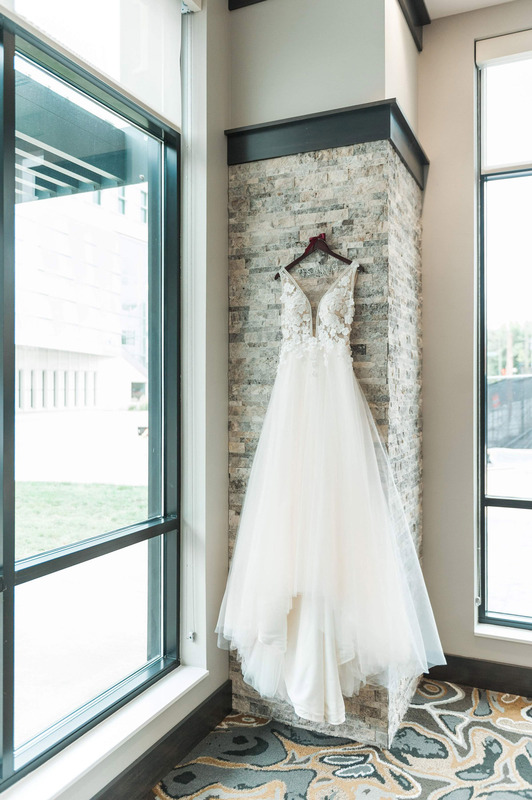 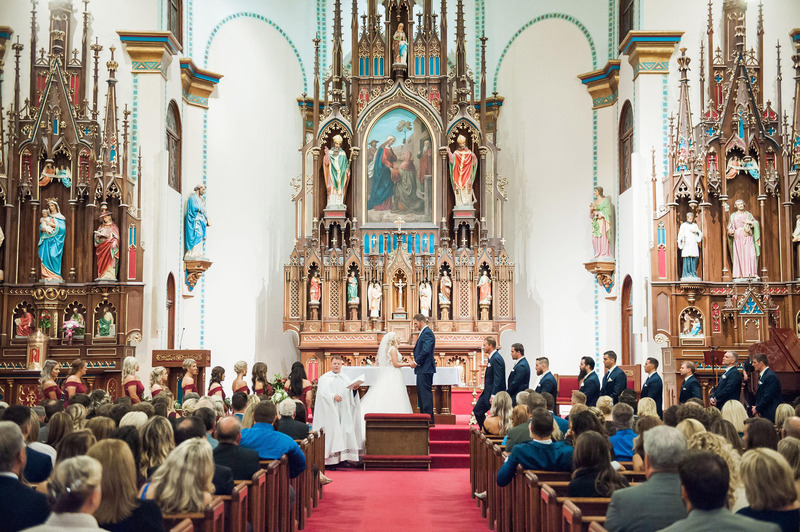 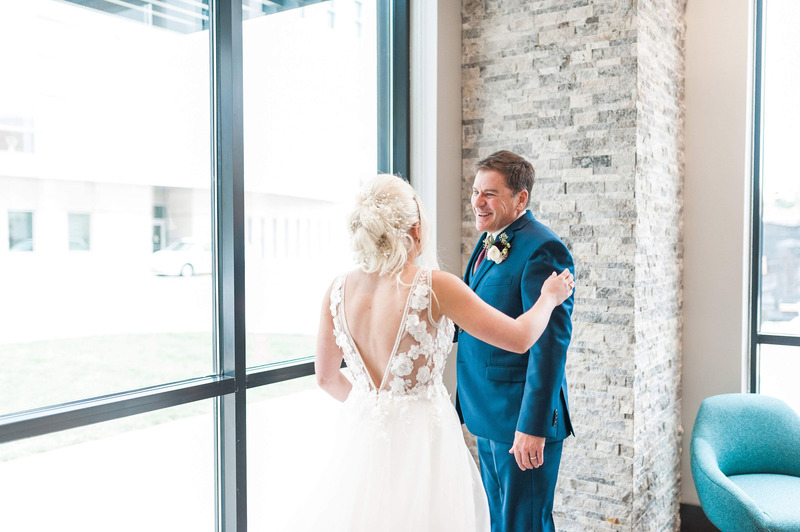 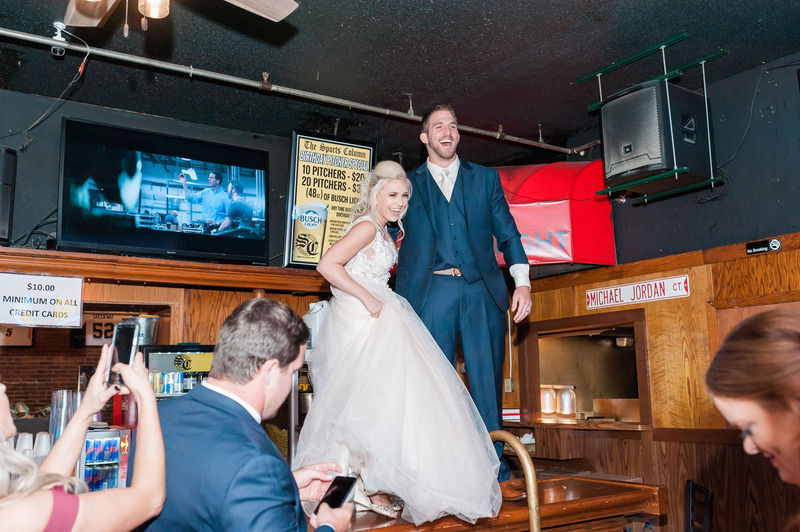 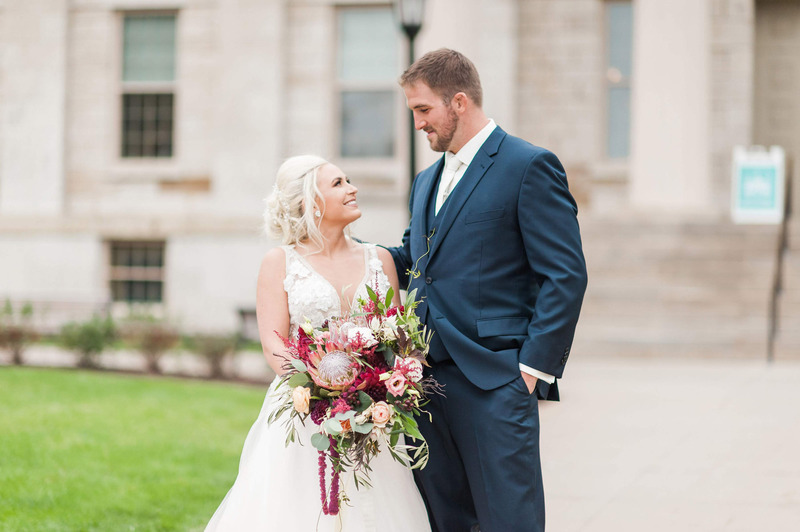 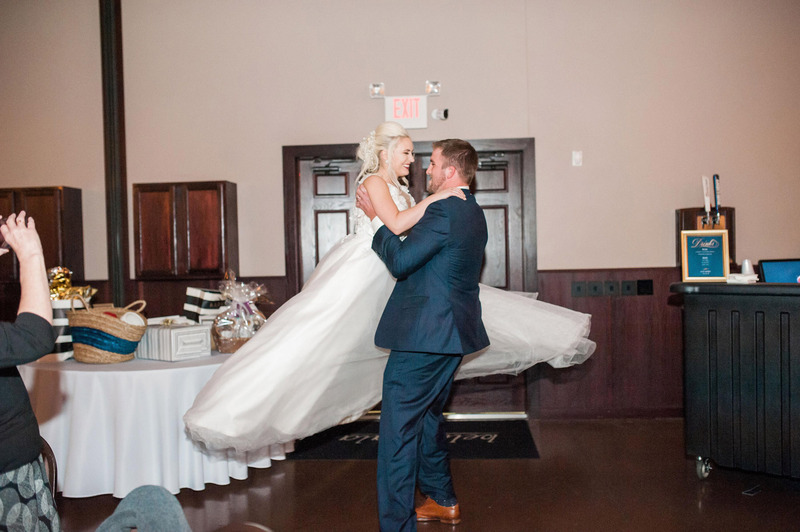 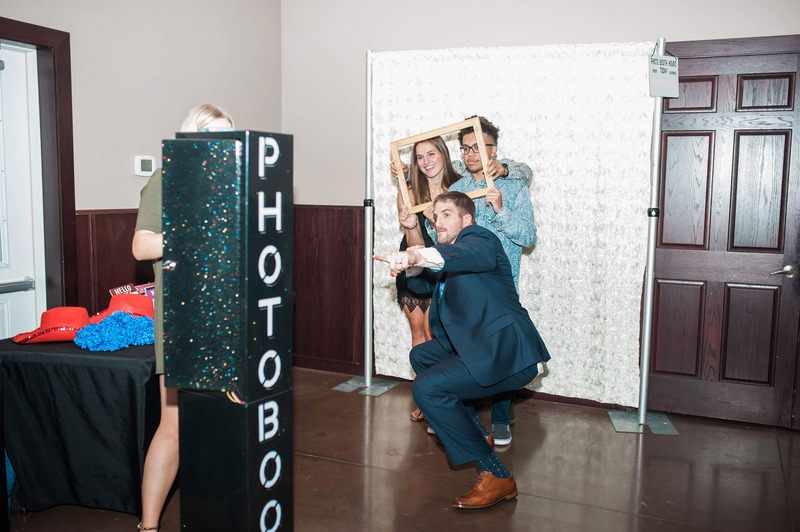 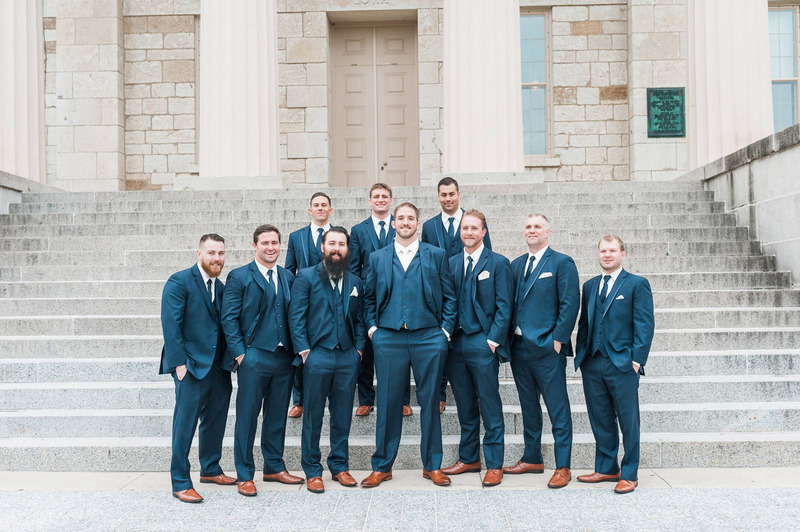 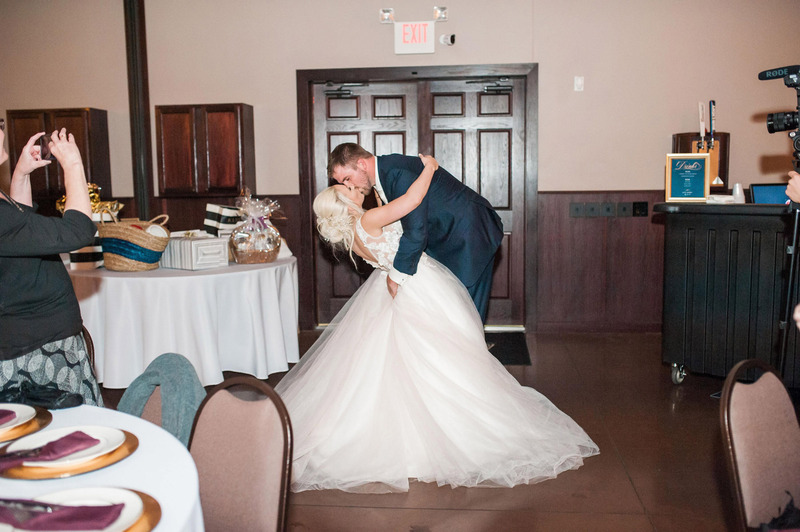 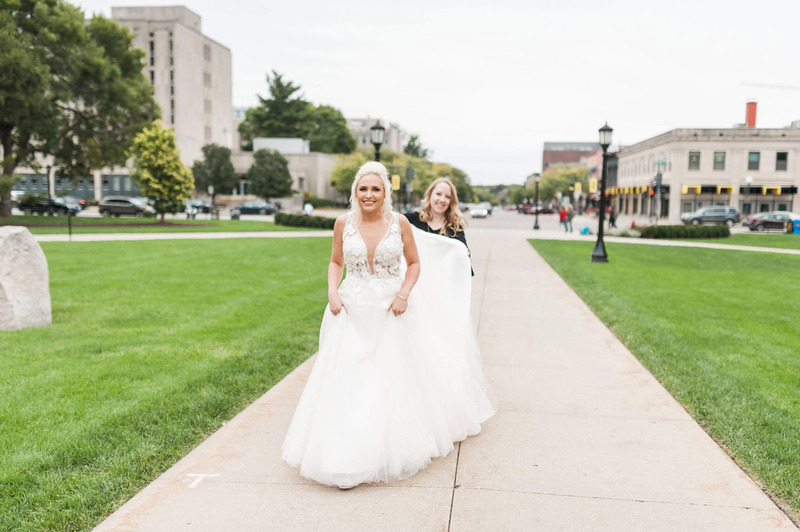 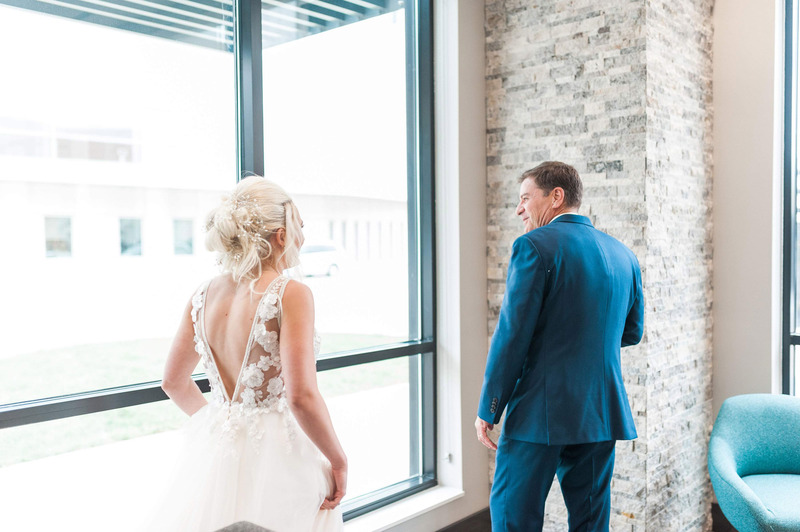 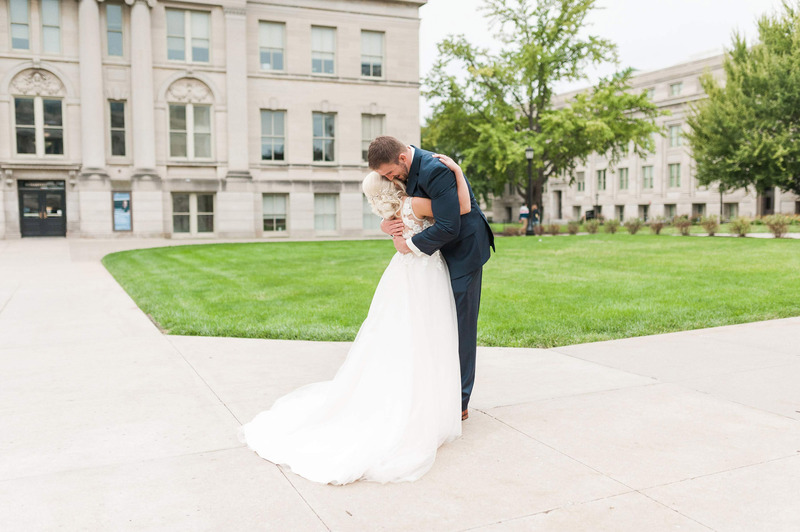 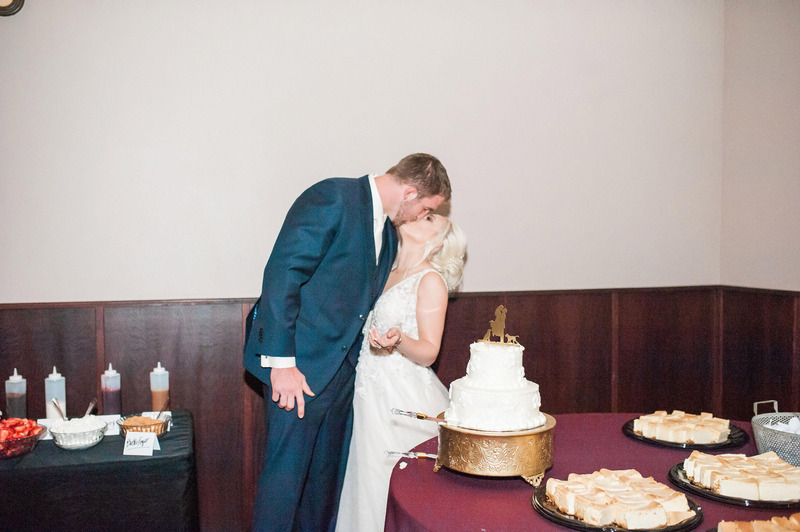 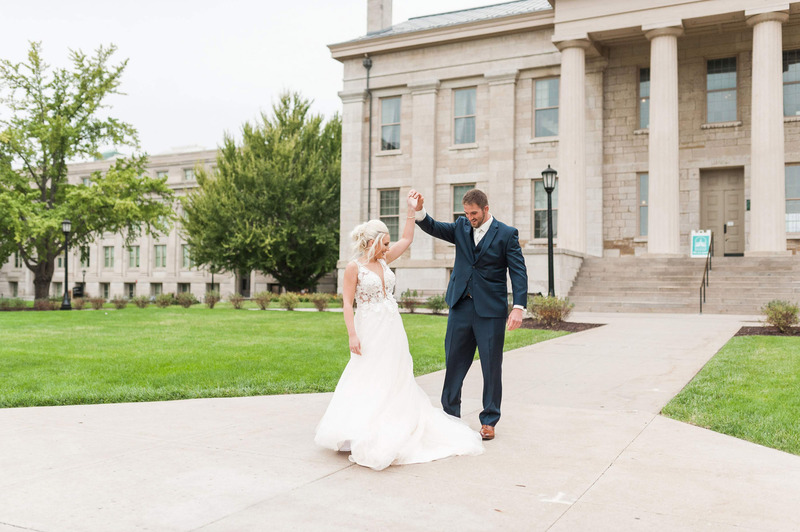 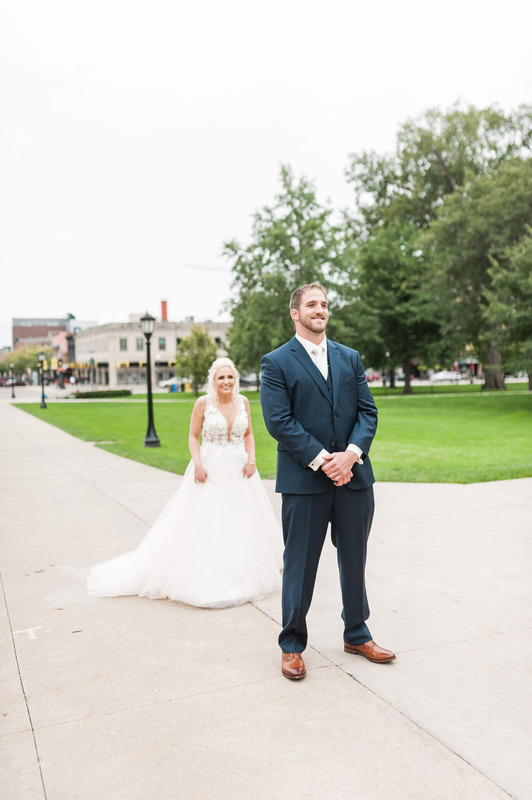 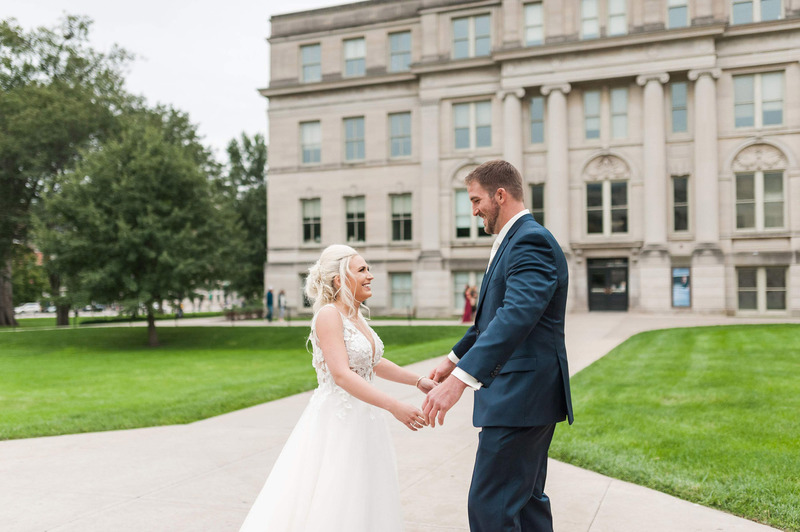 Following their church ceremony, it was only fitting that the couple take pictures in their favorite spots around Iowa City: from the Old Capitol, to Carver-Hawkeye Arena, and even Summit bar! 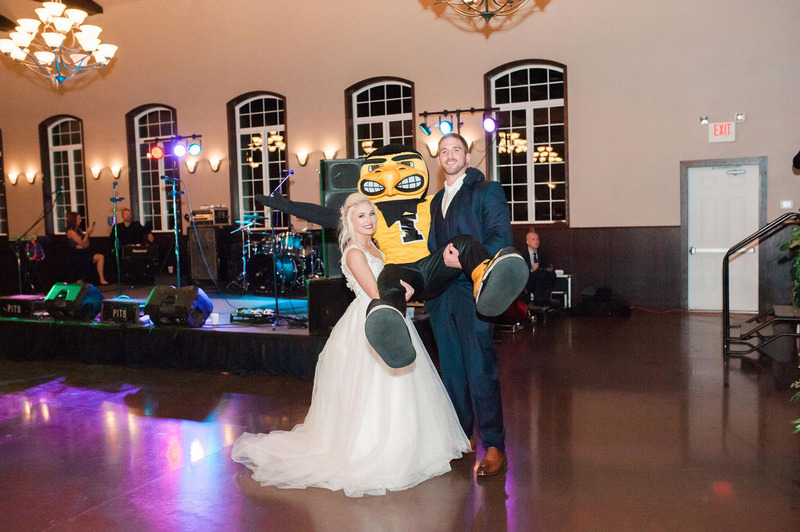 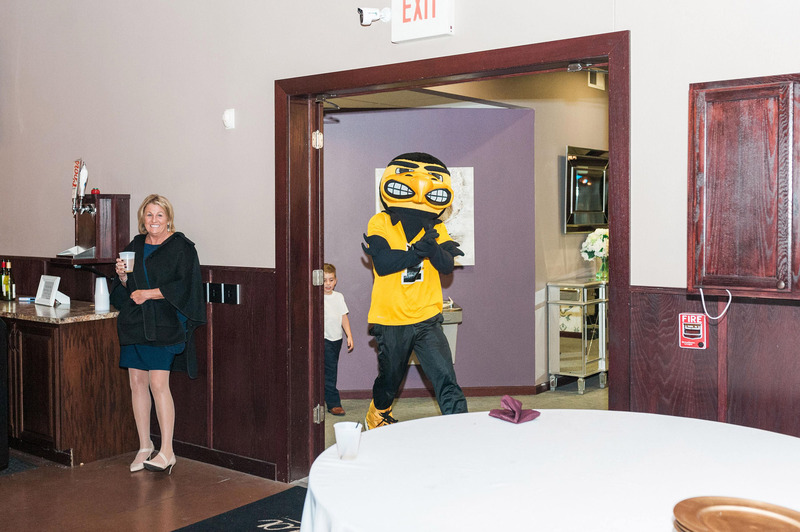 Herky even made a special appearance at their reception! 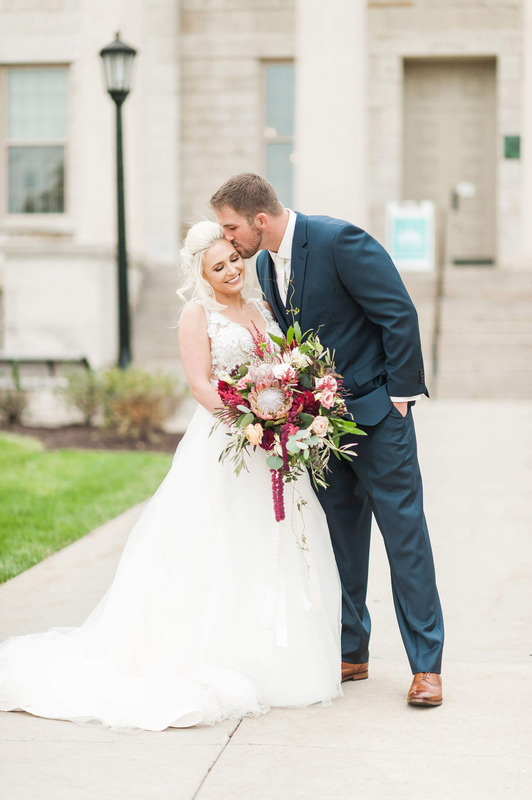 The planning process was seamless, and their big day was perfect thanks to the amazing vendors that Alex and Bobby booked for their wedding. 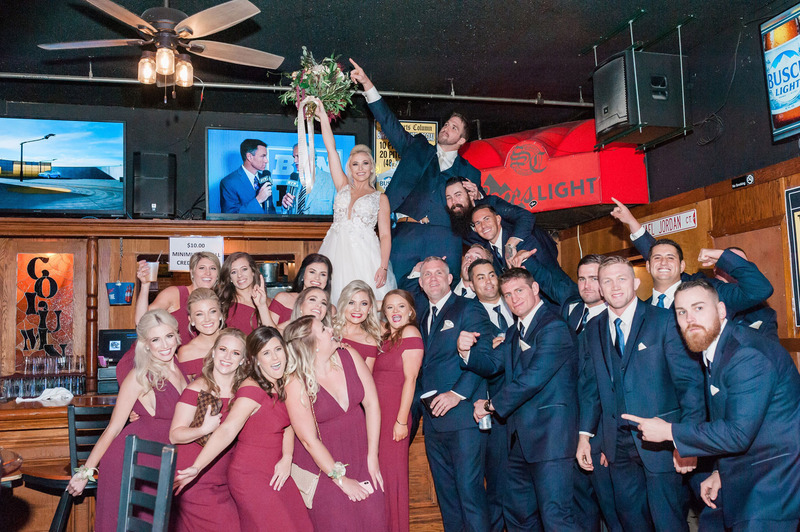 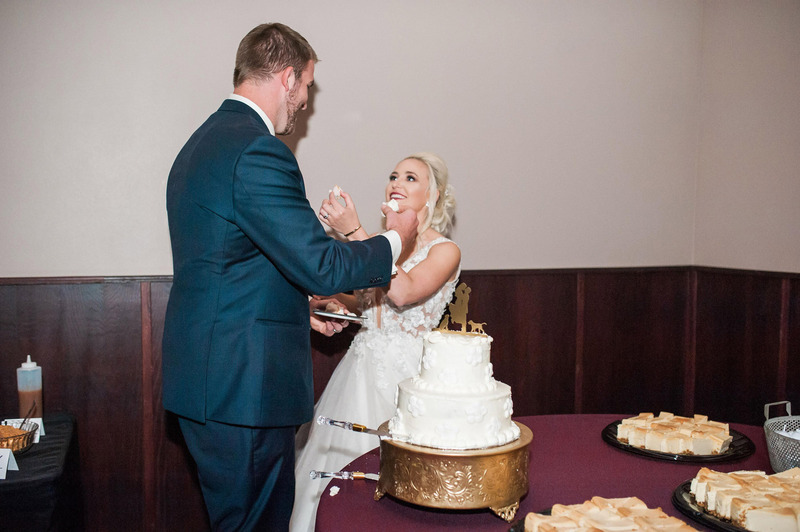 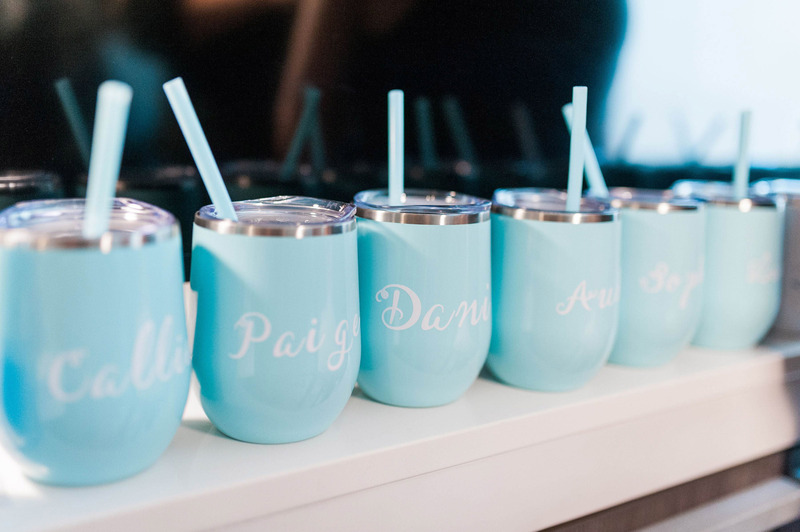 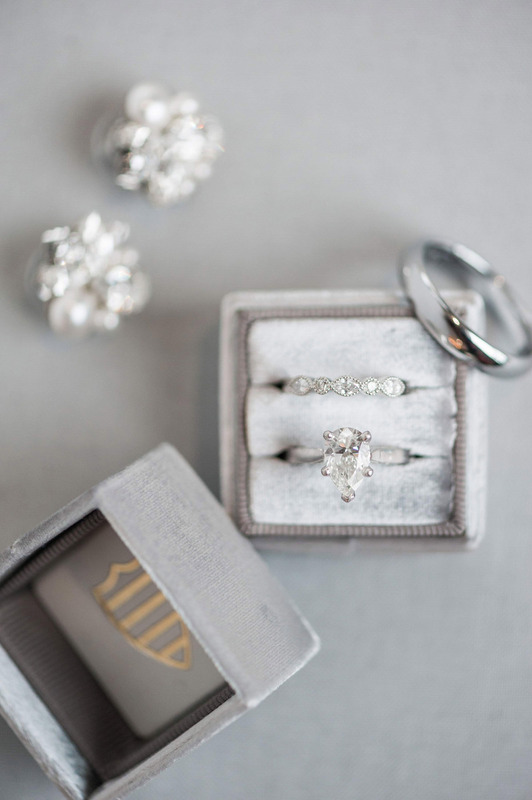 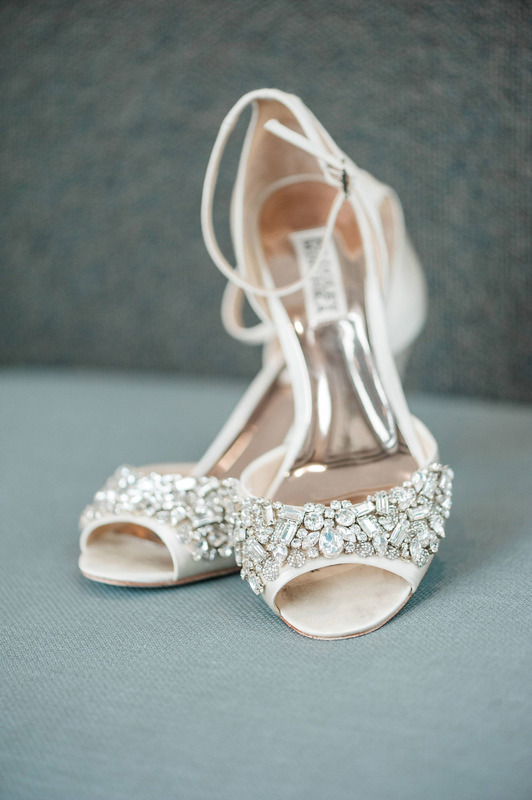 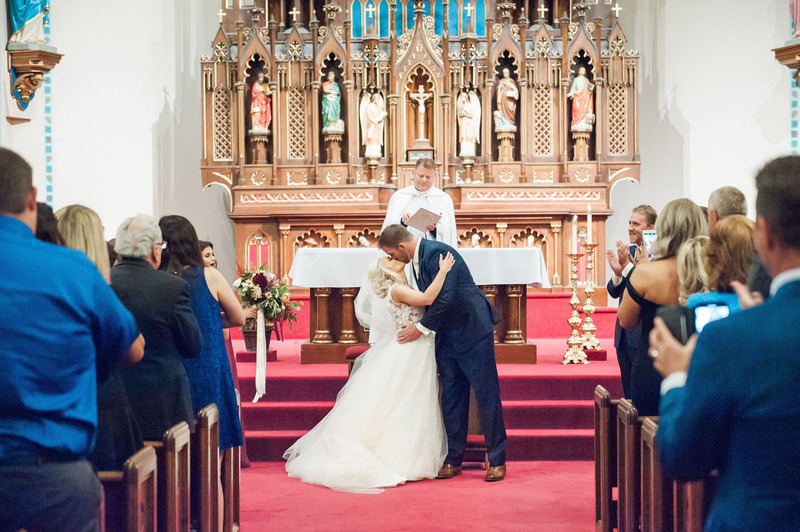 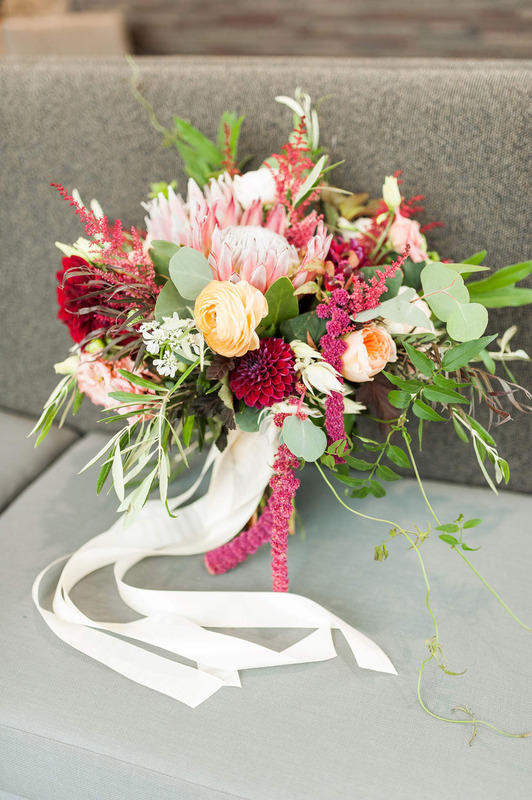 Following their wedding day, the lovebirds celebrated their honeymoon in Vail, Colorado. 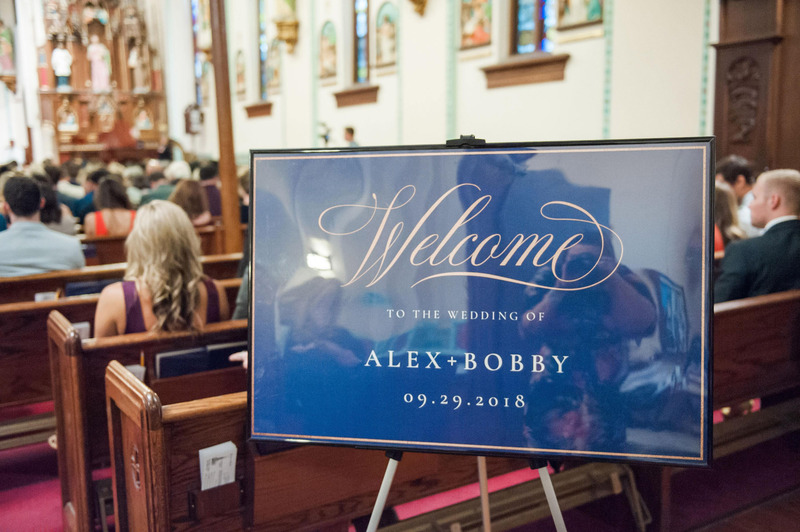 Alex and Bobby were such a fun and sweet couple to work with in every stage of the planning process, and we loved getting to work with them to create such a magical day. 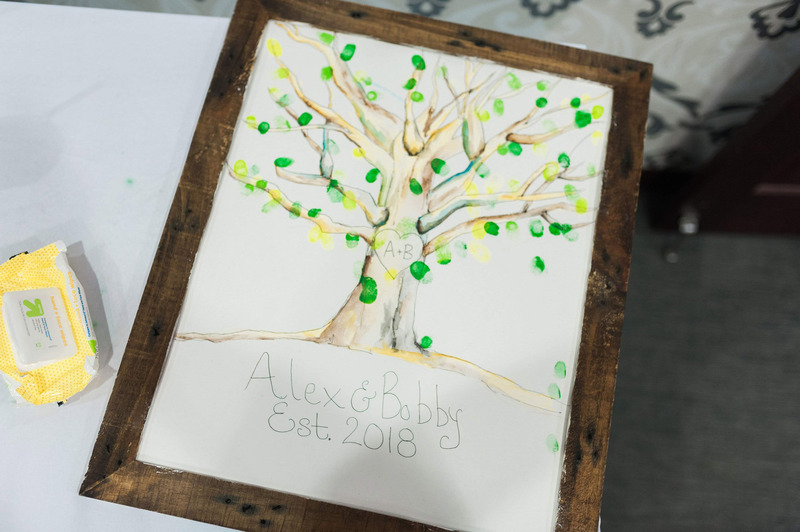 Congratulations, Alex and Bobby! 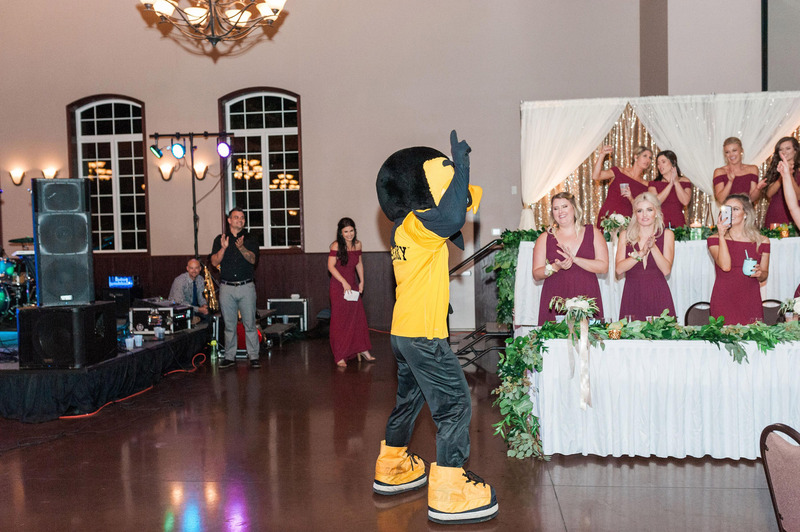 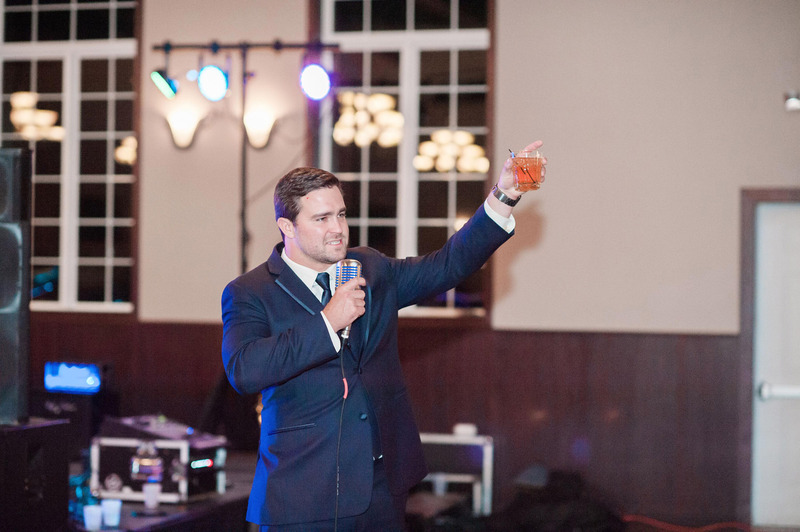 Thanks for letting Soirée be such a special part of your wedding. 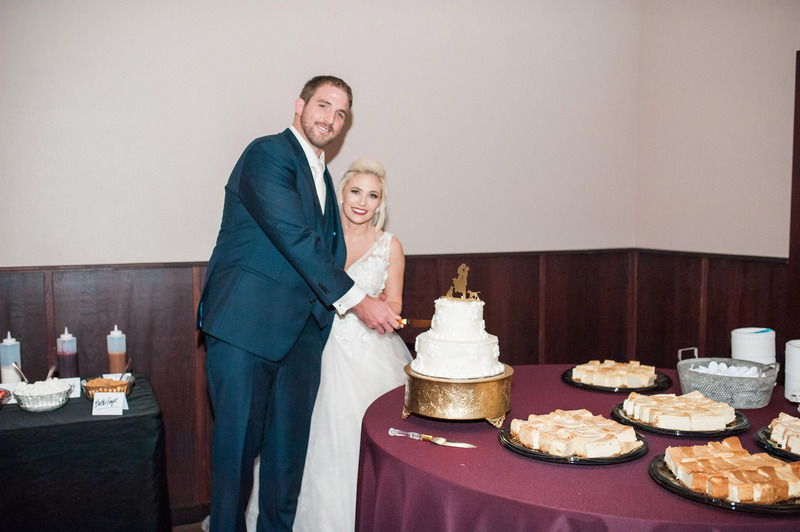 We wish you a lifetime of love and happiness together!